Spooktacular fun is in store as the Central Library is celebrating 25 years on Saturday. Dress up in your Halloween costume and head over to City Centre to enjoy refreshments and take in the ‘Story of Central’ presentation, which features an award-winning picture show from the library’s digital archives. In a nod to bookworms everywhere, fun activities begin with a family story time at 11:30 a.m. Highlights include a green screen photo booth, which allows participants to take photos with a number of different backgrounds – from under the sea to outer space. The second floor will be transformed into a show and play area, featuring a number on hands-on demonstrations. In addition, Canadian writer Terry Fallis will be discussing his new novel, Poles Apart. The celebration is running from 11 a.m. to 4 p.m.
For those fixated on spooky fun, Halloween-specific activities begin at 2 p.m. Visit mississauga.ca/central25 for more details. 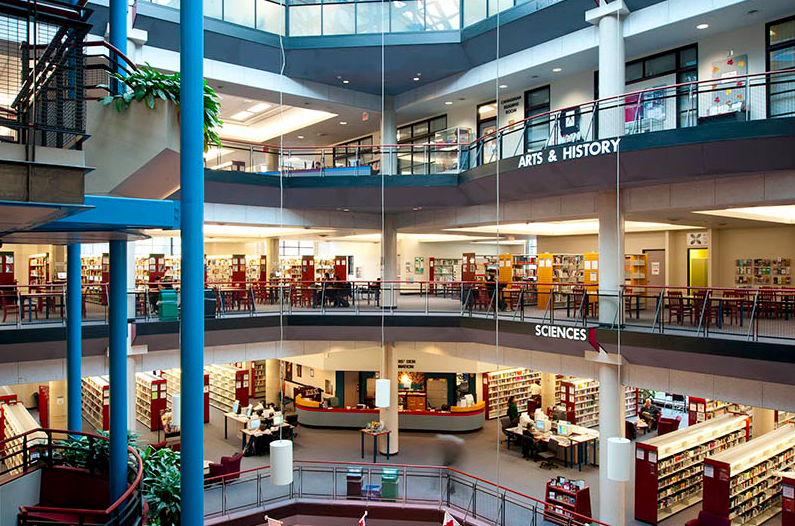 Central Library’s current location at 301 Burnhamthorpe Rd. W. opened on September 23, 1991. Child Abuse Prevention Month kicks off at John Fraser S.S.